WILLACY (Narrator): This custom of sole custody has torn apart parents and children from all corners of the world. 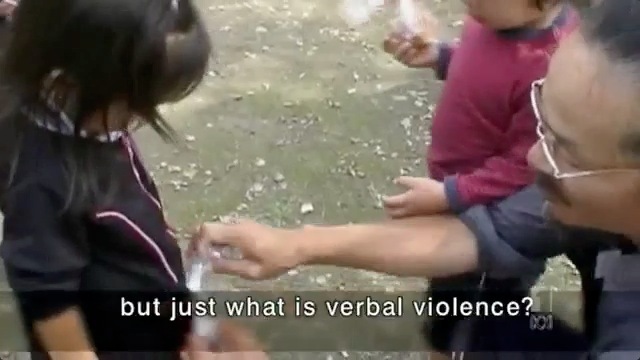 But while local awareness of the issue is limited, Japanese do figure prominently among the victims. Every year 150,000 divorced Japanese parents join the ranks of the dispossessed. 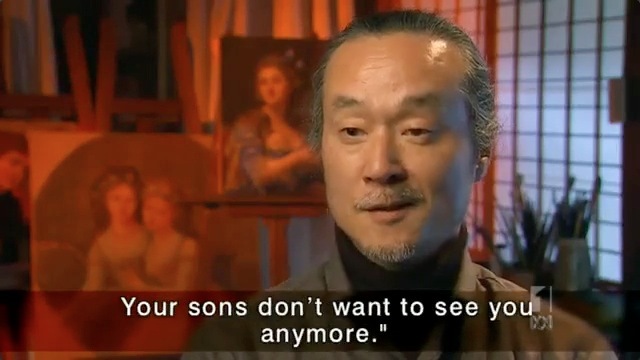 WILLACY (Narrator): Ryoma Takahashi is one such parent and because of his profile, the recent abduction of his children has sparked media interest. His wife took their sons for a short break but never returned and the renowned local artist has now been frozen out of their lives. WILLACY (Narrator): He’s trying desperately to win back his children but his wife has countered with a claim of domestic violence. The abuse? 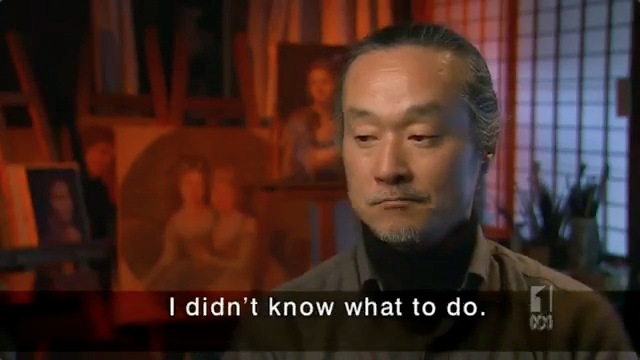 That Takahashi suggested his wife should give up work because of the stress it was causing her. 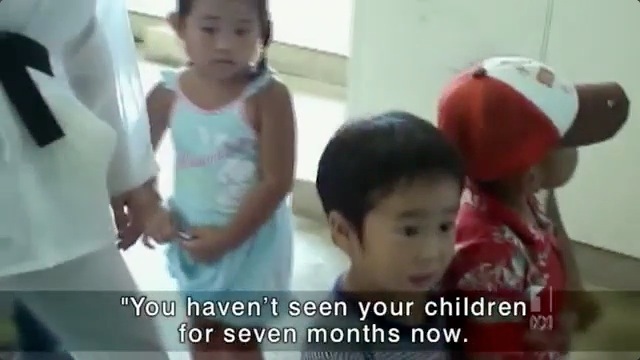 As an example, for over a year the Department of State has neglected to update the number of children kidnapped to Japan http://goo.gl/Gxu48 - one of the top abduction countries in the world, and the only G7 country which has continually refused to join an international treaty on the prevention of International Child Abduction. Not to mention that the official count provided by the Department of State is constantly called into question [ http://goo.gl/q234a AND http://goo.gl/YQ4uP ], and that the State Department continues to publicly manipulate the numbers [ http://goo.gl/fMxcI ]. The State Department completely refuses to call out major offense countries, such as Japan, for violating the human rights of children, attacking U.S. sovereignty, and abdicating their responsibility to the International community. In addition, Japan ratified the UN CRC in 1994. This UN human rights treaty states in article 11 that international kidnapping (specifically including Parental Kidnapping) is a crime. Further, Japan’s constitution clearly states in article 98 that “the treaties concluded by Japan and established laws of nations shall be faithfully observed” [ http://goo.gl/OeauR ]. So the State Department is simply choosing the path of least conflict by refusing to call Japan out; and doing so at the expense of U.S. parents and U.S. children. It is the holiday season. A time for families to be together. I am sorry that your mother refuses to soften her heart. We should all be together. We should all be a family. I miss you all. I miss you my sons. I know that I haven’t written for you much recently. But know that I think of you everyday, and the reason for my silence is because I am busy fighting to be with you again. It has been over 6 months since we last spoke; when you asked to be able to see me again. I am thinking about you everyday. I am doing everything that I can to change things so that we can be reunited. I know that you need me there. You need your father in your life. There are many things that I need to teach you and many things that we need to do together. Kai, you should be learning to ride a bike by now, hopefully that is happening. Koh, I worry that be the time I next get to see you, that you will be too big to sit on my shoulders. I am sorry that you are going through this right now. Hopefully, we can change the system in Japan. Hopefully, we can get Japan to start protecting your rights. Always remember that you are loved. I want to see you. I want to be with you. Do not let anyone convince you otherwise. But do not worry, we will have a future together someday. I will always be here, waiting to be with you – fighting to be with you. WE PETITION THE OBAMA ADMINISTRATION TO…. There is a petition on the White House Petitions site, We the People. Will YOU sign it? http://wh.gov/gKV And then, Will YOU Share it? THIS PETITION IS 100% ONLINE – AND SHOULD TAKE LESS THAN 2m TO COMPLETE. 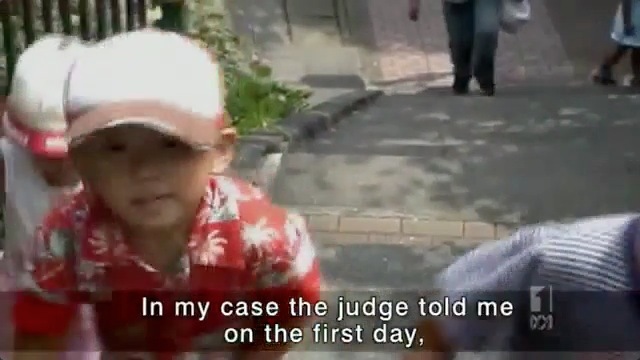 Hundreds, if not thousands (Child Abduction in Japan… The REAL Numbers –http://bit.ly/pteCAe ), of US Citizen Children have been abducted to, or retained in, the country of Japan. 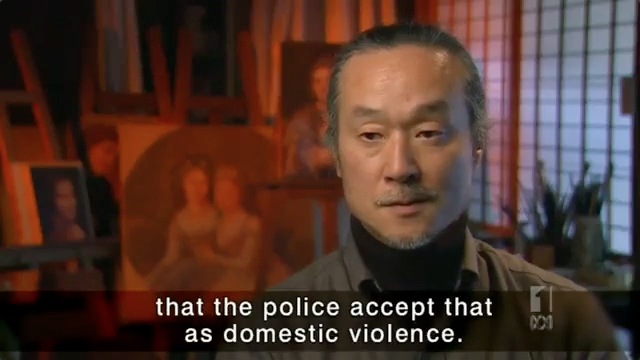 Japan has never returned a single child, has no legal concept of “joint-custody”, no enforcement of visitation, no requirement for rules of evidence on claims of DV. The US Congress, in HR1326, has publicly condemned Japan and demanded the immediate return of this children. However, the Executive Branch has only held back-room discussions. Additionally, there are persuasive claims the DoS is significantly downplaying the number of actual cases. There needs to be complete transparency into this process, and public condemnation of Japan. These are our country’s children. We the people deserve to know if they are being traded for bases or other government goals. Will you sign it? http://wh.gov/gKV And then Share it? Please take just a few moments of your time to sign this digital petition, and then forward it on to all those you know. Help press the White House to do the right thing, and press for the return of abducted US citizens. 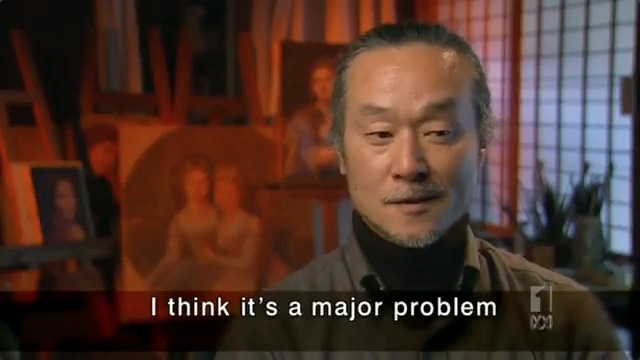 As a side effect of this, you will also be helping to force Japan to change it’s current laws and policies regarding divorce and child custody, thereby enabling the estimated 250,000 children who annually lose permanent access to one parent due to Japan’s outdated and inadequate family laws and court system. 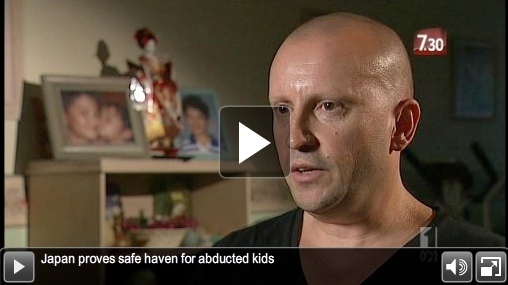 Screen capture from ABC AU story on the epidemic of child abductions to Japan - click to watch. Japan has not signed the Hague convention so it’s becoming notorious as a safe haven for parents who abduct their own children after a relationship has broken down. Child Abduction in Japan… The REAL Numbers – part 1. Unfortunately, child abduction in Japan is a major epidemic. Equally unfortunate is the fact that so few people are aware if it. Part of the reason for this could be the fact that the “official numbers” reported by the US Department of State are so wrong – and they know it. Since 1994, the Office of Children’s Issues has opened 230 cases involving 321 children abducted to or wrongfully retained in Japan. As of January 7, 2011, the Office of Children’s Issues has 100 active cases involving 140 children. The U.S. Embassy in Tokyo reports an additional 31 cases in which both parents and the child(ren) reside in Japan but one parent has been denied access to the child(ren). So question number 1 that arises: What is behind the missing 130 cases? Another interesting “official number” is 31. The number of cases “acknowledged” by the Department of State, where the foreign parent is being denied access to their child after separation or divorce has occurred within Japan. This number, frankly, is just completely shameful. Based on research done by both Law Professors in Japan and by Left-Behind Parents, we know that these cases number into the thousands. To simplify it: Out of 245,000 children who’s parent’s are divorced in Japan ONLY about 6300 children will be allowed to maintain some level of contact with their “non-custodial parent” (We’ll get back to how custody is determined). The remaining 238,700 children have one parent ceremoniously cut completely and suddenly from their life – often being punished, either emotionally or physically, by the “custodial parent” if they ask to continue to see the removed parent. From 1992 to 2009, there have been 7,449 divorces between an American and a Japanese in Japan. Of those Americans, 6,208 were men, and 1,241 were women. So when you take 7,449 divorces (each with an average of 1 child based on the above statistics) and use Professor Tanase’s 2.6% estimate (which should be expected to be higher than would actually apply to foreign parents), that leaves you with approximately 7,255 children of US citizens (just counting data up to 2009) that are being denied access to their US parent. That there is currently no available data on non-divorce separations. There are many cases (how many is unclear), where although access to a child is being denied, there is no official divorce – the Japanese spouse just walked out the door one day with the children. For this situation, there is no way to track how large the numbers are. Given the fact that getting children added to the list is made extremely difficult by the hurdles of Department of State bureaucracy, and that one would generally have to do their own research to even discover the OCI exists and will, if pushed, take a report, there could be many more children abducted to Japan annually than are accounted for in the “official” counts. With these additional factors, it is extremely reasonable to assume that total number of US citizen children that have been abducted and are being denied access to their US heritage and familial ties is along the lines of 10,000+ children vs. the 352 acknowledged by the Department of State. Does the US Department of State know these numbers and how bad it is? You bet they do! Additionally, Left Behind Parents have been discussing the vast discrepancy in numbers with DoS for years – never receiving a clear answer. So, given all the data, how can they claim only 31 cases of denial of access in Japan? Excellent question that a bunch of people, including the US Congress, have been asking for a very long time. The following is a translation of an article written by Professor Takao Tanase for the December 2009 edition of Jiyū to Seigi, a Japanese legal periodical. Divorce and familial breakdown has become a major problem in modern Japanese society, yet the law does not provide any meaningful protection for the noncustodial parent. Professor Tanase analyzes this issue from a comparative and theoretical perspective, looking at the current Japanese visitation laws in place today, while contrasting those with the system in the United States. He also looks at how those laws affect actual families, and how the courts have implemented and enforced visitation agreements and orders. This article concludes that not only are the rights of the noncustodial parent insufficient to maintain a meaningful relation with their children following divorce, but that they hardly exist at all. Current Japanese legal institutions are ill-equipped to resolve the complicated issues surrounding visitation, custody, and divorce. Japanese views toward family and society have changed greatly since the post-World War II family law was enacted in the 1950s, but the law has not evolved accordingly. This is especially clear in the methods used to determine custody and visitation, as well as the kyōgi rikon, or divorce by mutual consent system. Policy makers and activists are both working to resolve this problem, but their ongoing struggle has yet to produce any tangible results. 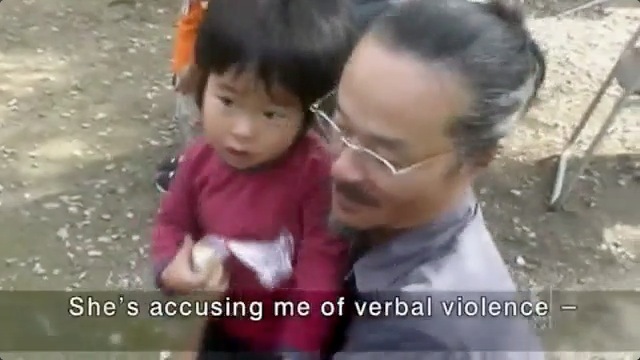 This comment argues that the Japanese legal system must be reformed to allow for joint custody and to create a presumption for reasonable visitation, and the kyōgi rikon system must be changed to grant greater protections to all parties, including requiring a detailed parenting plan to provide for the children’s welfare and continued relationship with both parents. …Even with the increase in visitation awards, only about 2.6% of the 245,000 children [annually] affected by divorce [in Japan] will be allowed visitation. This raises the question of whether the remaining 97% of children of divorced couples will be able to have smooth visitation with the noncustodial parent. 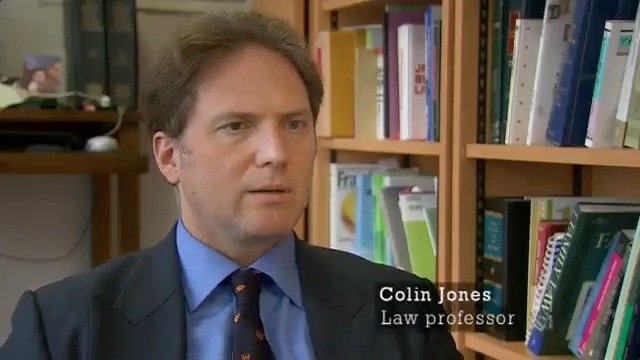 A lack of reliable studies prevents knowing the absolute truth, but considering that judicial cases epitomize the adversarial nature of parties in a divorce, and that their decisions can be seen as legal norms, the most likely result in these types of cases is that noncustodial parents will no longer be able to meet with their children following divorce. Even if they are able to meet, once a month is an abysmal state for visitation rights. Basically the articles discuss how the Japanese Family Court has traditionally prioritized the desires of the abducting parent over the true best interests of the child. An apt little article on BacHome.org – a site to raise awareness of the plight of 300 U.S. citizen children kidnapped to (and wrongfully retained) in Japan. And while Japan continues to refuse the return of abducted US children or even to provide access to the children for the left behind parents… The Japanese government still asks the US for assistance in dealing with the handful of abducted Japanese children remaining in North Korea - Japan lawmakers urge no US food aid to N.Korea – Yahoo! News http://yhoo.it/nCpJe7 Have they no shame?